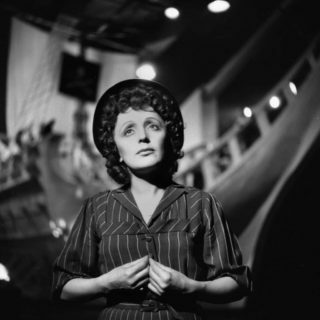 ‘La Vie en Rose’ is a classic French song by Edith Piaf that was (and still is!) a major hit when it was released as a single in 1947. The title of the song can be loosely translated to mean ‘life through rose-tinted glasses’, which encourages us to look at life with an optimistic or positive outlook. The song went on to become one of her trademark hits, sitting alongside ‘Non, je ne regrette rien’, as some of her best-known works. Part of the success of the song is due to the lyrics which, in the aftermath of WW2, talked directly to the heart of those who had suffer from the war. ‘La Vie en rose’ has been sung by hundreds of other singers, with some stand-out performances including: Andrea Bocelli, Audrey Hepburn, Bing Crosby, Céline Dion, Grace Jones, Louis Armstrong, and Luciano Pavarotti. A piece of happiness the cause of which I know full well.